Vincent Price plays the mysterious Captain Hugh, who rules an underwater city populated by his crew and a race of aquatic beings. He captures three land-dwellers, played by Tab Hunter, David Tomlinson, and Susan Hart. An underwater volcano is about to explode and threatens to destroy his beloved city, and he needs the help of engineer Ben Harris (Tab Hunter) to save it. My buddy Dan Johnson and the folks at Empire Comics Lab have released Issue 2 of their horror anthology CEMETERY PLOTS! Full info below, digital download available for just a buck!! Check it out! Can You Dig It!? Cemetery Plots #2 Is Here! Press Release from Empire Comics Lab- Monday, June 27, 2016 The mad scientists at Empire Comics Lab have been hard at work preparing the second issue of Cemetery Plots, the company’s premiere horror anthology, and they are now ready to unleash it upon the world. 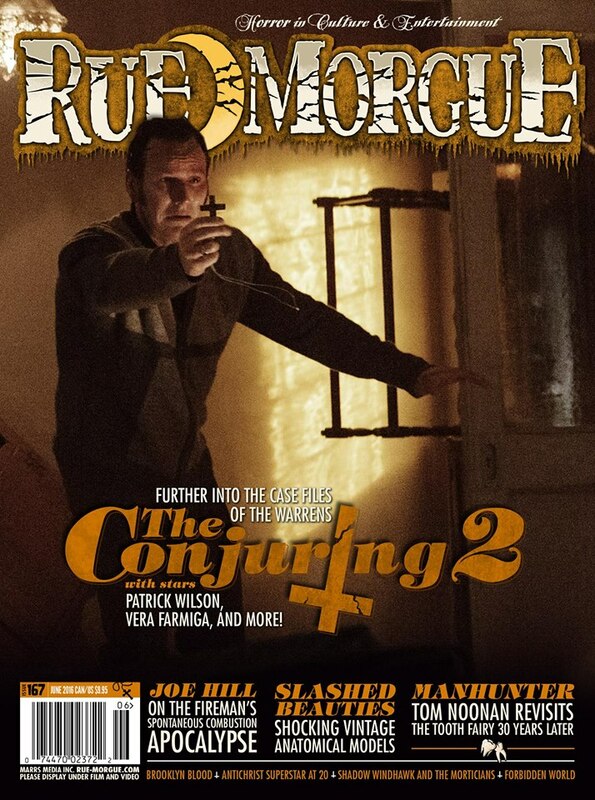 Cemetery Plots #2 contains three brand new stories that are guaranteed to chill your blood. 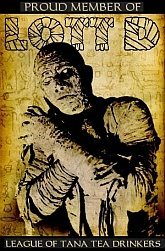 First up is the terror tale, “Not Wrapped Tight,” about a female mummy who longs to return to the land of the living. Unfortunately for her, her long-suffering mate prefers the peace and quiet of the afterlife. Next is “120,” and, despite its title, this story is nothing you would call ‘by the numbers.’ Set in a future where robots have the final say in all matters, “120” was written by Roger McKenzie of Captain America and Daredevil fame. The final fright fest in this issue is “Thanksgiving.” Set in the old west, this is the story of two outlaws who stumble upon an isolated town in the mountains and find out too late that this paradise will be their doom. Cemetery Plots #2 also features a special sneak peek at Empire Comics Lab’s upcoming web comic, Two Sentence Horror Stories. Rounding out this issue is a special prologue and epilogue where the book’s host, D.O. 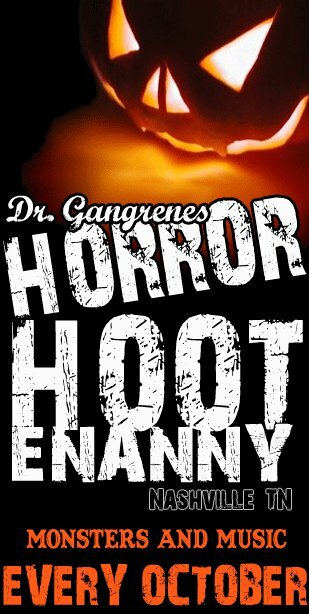 Mann, welcomes the reader to his domain, River Shore Cemetery, and gives them a chilling tour of the grounds. Empire Comics Lab is extremely proud of their latest offering and of the talented writers and artists that joined forces to bring this second issue together. 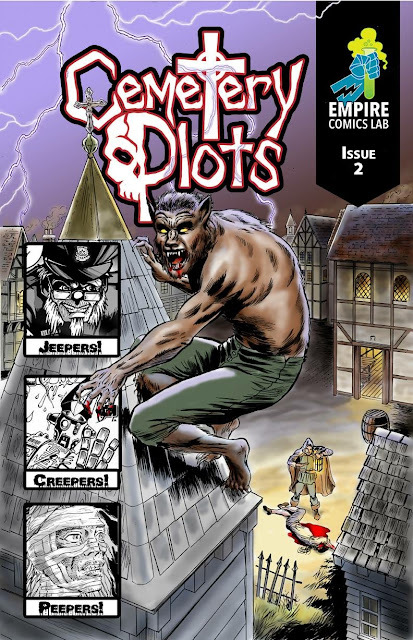 Digital copies of Cemetery Plots #2 are just $1.00 for a limited time, and will be available at this low price until the print copies are available in mid-September. Also, for a limited time, readers can purchase a special combo pack featuring digital copies of Cemetery Plots #1 and #2 for just $3.00. For additional information about Cemetery Plots and Empire Comics Lab, contact Dan Johnson at danielbryanjohnson@hotmail.com or Andy Korty at ECLeditors@gmail.com. Horror Hootenanny 13 Details Announced! 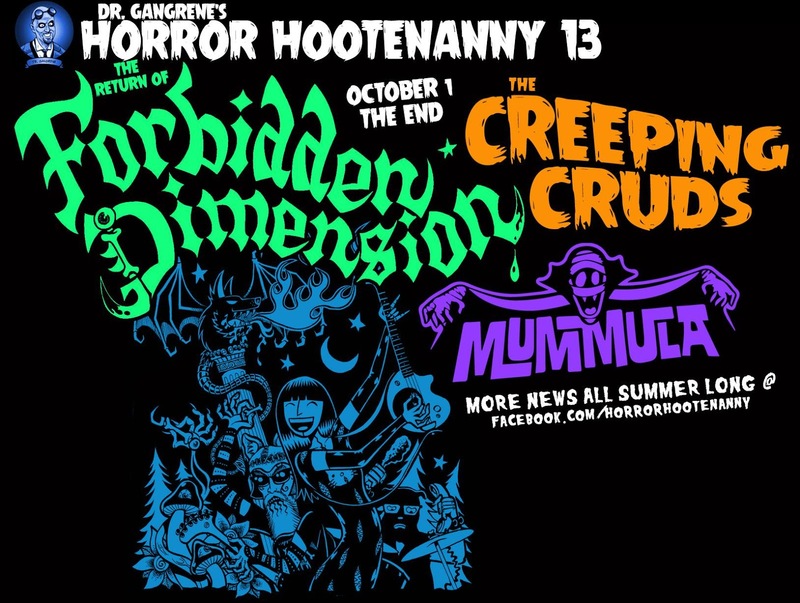 Ok Fright Fans, the gory details have been nailed down and it's my pleasure to announce that this year we are bringing Canadian horror rock legends FORBIDDEN DIMENSION back to the US for DR. GANGRENE'S HORROR HOOTENANNY 13!! 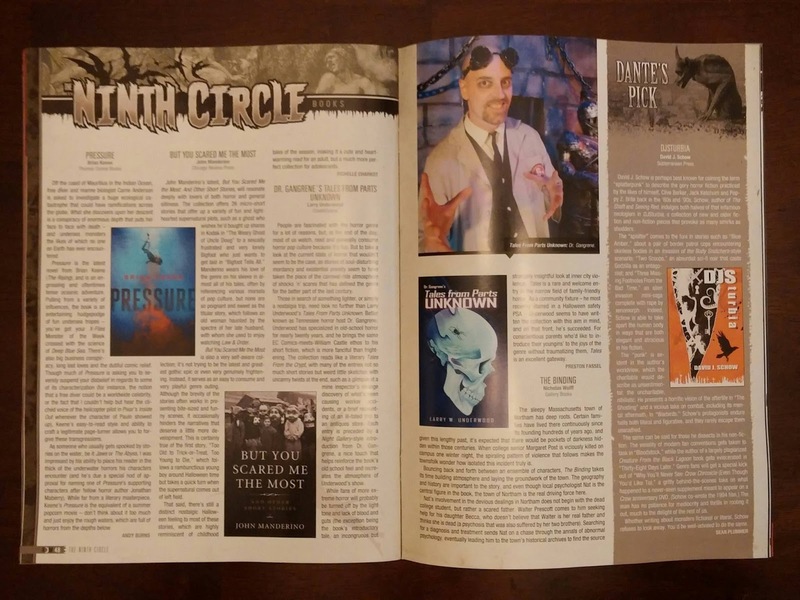 Great news - my new short story collection Dr. Gangrene's Tales from Parts Unknown was reviewed in the new RUE MORGUE MAGAZINE, issue #167 June 2016. 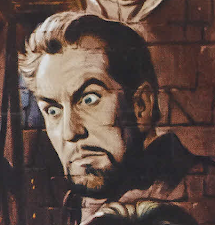 Vincent Price plays Price Prospero, a practicing Satanist who has retreated to his castle with a group of fellow aristocrats to avoid the Red Plaque that is ravaging the countryside. He has taken prisoner a peasant girl named Francesca (Jane Asher) to try and corrupt into his life and religion. One of the better Roger Corman films based on the works of Edgar Allan Poe.